1.1 These Terms and Conditions (hereinafter referred as „Ts&Cs“) for the use of the www.spacestarters.com Website and of all subdomains associated with this domain (hereinafter referred as „SpaceStarters Website“) provide for the business relationships between FunderNation GmbH, Talstraße 27E, 64625 Bensheim-Auerbach, Germany (hereinafter referred as „FunderNation“) and the SpaceStarters users (hereinafter referred as „Funder“). The Funder's contracting party and the operator of the SpaceStarters Website is FunderNation. 1.2 The SpaceStarters Website provides companies with the opportunity to present their business model and receive feedback on their business model from other SpaceStarters Website participants. In addition, the SpaceStarters Website provides Investors (hereinafter referred as „SpaceStarters User" or „Funder“) with the opportunity to participate in the economic success of three different categories of companies ("Start-Up Companies", "Growing Companies" and "Established Companies") (hereinafter referred as „Companies“) by way of granting profit participating subordinated loans (hereinafter also referred as "Investment"). The terms and conditions for the profit participating loans is dependent on the category of Companies the Investment is made in. 1.3 The SpaceStarters Website is an online platform in which Company information is published. Within an individually determined period, Funders are provided with the opportunity to invest in a Company. Each investment opportunity, including the aforementioned options, is presented within the scope of a so-called campaign (hereinafter also referred as "Campaign"). Within the scope of a Campaign, an individually determined minimum amount must be achieved as total investment of the individual investments of all Funders for each investment opportunity (hereinafter referred as "Funding Minimum"), as well as an individually determined maximum amount (hereinafter referred as "Funding Limit"), which is EUR 2.5 million per Campaign at a maximum. The actual execution of the presented investment opportunity is subject to the condition that the Funding Minimum is reached for the respective Campaign. 1.4 If a Campaign is successfully completed and the Investment is executed, FunderNation itself does not become a party to the agreement. Rather, the subordinated loan agreements are concluded between the Funder and the Company or FunderNation Support UG (haftungsbeschränkt / limited liability). 1.5 The following Ts&Cs provide for all services FunderNation provides to the Funder (hereinafter referred as „Services“). The Funder accepts these Ts&Cs by clicking on the "Register" button on the SpaceStarters Website within the scope of the investment process or by confirmation of the Funder’s subscription. The Ts&Cs may be reviewed at any time at www.spacestarters.com. The Ts&Cs may be downloaded, printed or stored locally and, in addition, the Ts&Cs are sent by e-mail to the Funder at the conclusion of a loan agreement. 1.6 FunderNation endeavors to have the SpaceStarters Website available at all times. FunderNation will provide an availability of the SpaceStarters Website of 98.5% on average per year. If maintenance work must be performed and for this reason the SpaceStarters Website is not available, FunderNation will inform the Funder in a timely manner, if possible. SpaceStarters Website downtime due to maintenance work are not included in the aforementioned availability of the website. FunderNation is not responsible for downtimes caused by the Internet or the network and, in particular, not for downtimes during which the SpaceStarters Website cannot be reached via the Internet due to technical or other problems that are beyond FunderNation's sphere of control (e.g. force majeure or fault on the part of third parties among others). 2.1 The use of the SpaceStarters Website for information purposes does not require the opening of a user account. 2.2 Active use of some SpaceStarters Website's functions requires the opening of a user account. The opening of a user account constitutes an agreement between FunderNation and the Funder on the use of the SpaceStarters Website. The opening of a user account is free of charge. The Funder agrees, among others, to these Ts&Cs within the scope of opening a user account. The initial opening of a user account requires the provision of first and last name and an e-mail address. During the subscription procedure, FunderNation may, at its discretion, ask for the provision of additional data. If a Funder wishes to make Investments on the SpaceStarters Website, the Funder must, in addition, provide his / her postal address, birth place and date, identification card or passport number, including the issuing authority, as well as the Funder's bank details. All data requested by FunderNation on the opening of a user account must be complete and accurate. The Funder is obligated to modify any provided data in his / her user account, if such data changes after subscribing. 2.3 Within the scope of opening a user account, the Funder chooses a user name and a password. Each Funder is responsible for the use of his / her user account and each Funder is obligated to treat his / her access data confidential and to protect his / her access data from unauthorized third party access. The Funder is obligated to promptly notify FunderNation, should the Funder have reason to believe that his / her password or user account is being used without authorization. 2.4 User accounts on the SpaceStarters Website may only be opened by persons having full legal capacity. Persons that do not have full legal capacity (in particular minors) are not permitted to open user accounts. Several persons (e.g. spouses or families) may not open a joint user account. A separate user account must be opened for each person. In the case of legal persons that intend to act as Investors, only authorized representatives of such legal persons may open user accounts on the SpaceStarters Website and perform acts that are legally binding on the Investor on the SpaceStarters Website. 2.5 User accounts on the SpaceStarters Website are not transferable. Individuals may not subscribe several times. 2.6 Individuals do not have a claim to the opening of a user account. FunderNation reserves the right to delete incomplete user accounts (missing subscriber information) after a reasonable period. 3.2 The selection of the Companies presented on the SpaceStarters Website is based on the description of the Company’s business model, as well as an assessment by FunderNation. Prior to the presentation of a Company on the SpaceStarters Website, FunderNation assesses the Companies according to certain criteria defined by FunderNation. FunderNation makes no warranty that Companies meet these criteria when listed on the SpaceStarters Website and during the full period the Company is presented on the SpaceStarters Website and that the Companies and their business models are suitable to satisfy the Investor's objectives and expectations. Information on Companies that is presented on the SpaceStarters Website is exclusively provided by these Companies. FunderNation does not examine the plausibility and accuracy of the information provided by the Company and FunderNation does not examine the performance or profitability of a Company. For this reason, FunderNation is not liable for the accuracy and completeness of this information. 3.3 Certain information and data on the SpaceStarters Website is marked as „confidential“ (hereinafter referred as „Confidential Information“). Funders are obligated to treat this Confidential Information confidential. A Funder may exclusively use Confidential Information in preparation of an Investment decision and may not disclose, publish or disseminate such information to third parties in any way, shape or form. 3.4 The SpaceStarters Website offers Funders the functionality to publish content. Content published by Funders on the SpaceStarters Website is generally not reviewed or checked by FunderNation. Such content does not represent the opinion of FunderNation. The Funder is responsible for ensuring that his / her content published on the SpaceStarters Website is in accordance with applicable law and does not contain any offensive, discriminating, immoral, racist, pornographic or other inappropriate content. The Funder indemnifies and holds harmless FunderNation from all damages and against any claims of third parties that FunderNation suffers or that arise against FunderNation based on a violation of the above obligation by the Funder. FunderNation reserves the right to remove any content published by Funders for good cause. Good cause is, in particular, met, if the Funder's content violates statutory provisions or requirements of these Ts&Cs. 4.1 By completing the Investment form on the SpaceStarters Website and by clicking of the warning button „II have read and understood the warning note according to Section 13 Para 6 Capital Investment Act [VermAnlG] and the Investment Information Sheet (VIB).“ and by clicking of the button „invest now with payment obligation“ at the bottom of the Investment form, the Funder places an offer for an Investment in the amount the Funder has individually provided according to the framework conditions set forth within the scope of the Campaign ("Investment Offer"). After the receipt of the Investment Offer, FunderNation sends the Funder an e-mail that confirms the receipt of the Investment Offer ("Offer Confirmation") uand by which the Funder's offer is accepted for a subordinated loan, including pooling agreement, (hereinafter jointly referred to as the "Investment Agreement") on behalf of the Company or the FunderNation Support UG (haftungsbeschränkt / limited liability) as the case may be ("Investment Confirmation"). The separate conclusion of an agreement is not required. Funders do not have a claim to the conclusion of an Investment Agreement. The subordinated loan agreement is concluded between the Investor and the Company in any case. FunderNation does not become a contractual party of the Investor in this regard. Concerning the pooling agreement, pooling of the Funders that invest in the Company is concluded between the Investor, the Company and the FunderNation Support UG (haftungsbeschränkt / limited liability) in any case. if the Funder already holds existing investments in the Company and the amount of such investments. 4.3 The Funder acknowledges that FunderNation is obligated to collect the above information (Item 4.2) based on statutory requirements. Unless the Funder is a corporation in terms of Section 2a Para 3 Capital Investment Act, based on statutory requirements the Funder may invest in a Company (i) EUR 10,000 at a maximum, if the Funder has, according to the Funder's self-disclosure, freely disposable assets of at least EUR 100,000 in the form of bank balances or financial instruments at his / her disposal or (ii) twice the amount of the Funder's average monthly net income according to the Funder's self-disclosure, at a maximum, however, EUR 10,000. The Funder is obligated to provide true and accurate information within the scope of the self-disclosure. FunderNation does not assume any responsibility or liability in the case of any violation of the law based on false or inaccurate information provided by the Funder. 4.4 The Funder's contractual party is either the Company (Investment Agreement) or the FunderNation Support UG (haftungsbeschränkt / limited liability) (Pooling Agreement). FunderNation is not a party to these agreements. Particulars are contained in the agreements concluded between the Funder and the Company or FunderNation Support UG (haftungsbeschränkt / limited liability). 4.5 The conclusion of the Investment Agreement is subject to the condition precedent that payment of the loan amount is received (hereinafter referred as "Condition Precedent"). The loan agreement becomes automatically effective upon receipt of payment. 4.6 In addition, the loan agreement is subject to the condition subsequent in the event the specific Campaign is not successful. 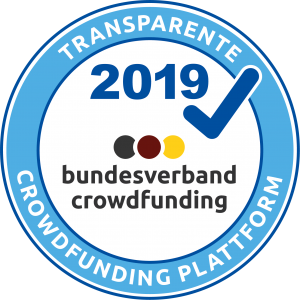 A Campaign is successful, if the total amount of all Investment Offers of the Funders reaches the individually determined Campaign Funding Minimum within the Campaign’s defined period plus 14 days for the settlement of accounts. After the end of the Campaign's offer period (period during which Funders may place Investment Offers), a 14 day period begins for the settlement of accounts. 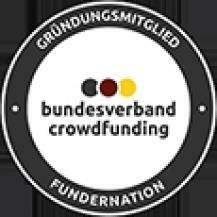 After the end of the 14 day period for the settlement of accounts, FunderNation will inform the Funder in the event the Campaign supported by the Funder did not reach the Funding Minimum and as such was not successful. In the event the Funding Minimum is not reached, the Investment Agreement becomes ineffective. Neither the Funder nor the Company nor any third party may claim any rights from this agreement in this case. 4.7 The Company may offer additional benefits (hereinafter referred as „Rewards“) that the Company wants to provide to Investors after the successful completion of a Campaign. If a Company offers certain Rewards, the Company is obligated to pay such Rewards. The Company is exclusively responsible for the payment of these Rewards. FunderNation is not liable for the payment of these Rewards by the Company. 5.1 Risks are associated with Investments in Companies. The Investment in a Company represents an entrepreneurial investment. The return from such Investment depends on a variety of factors, whose future development is not foreseeable. In connection with an Investment in a Company, the Funder faces risks that may result in a total loss of the Investment. FunderNation expressly warns against financing of the Investment with loans, due to the fact that in the event of a possible total loss, the obligation to pay interest on the loan and repay the loan may still exist. 5.2 A Funder should only consider an Investment in a Company as part of a comprehensive investment strategy and a Funder should only invest, if the Funder is in a position to compensate a total loss. For this reason, an Investment in a Company should only represent a reasonable portion of the Funder's capital investments according to the Funder's risk appetite, due to the fact that otherwise, the Funder puts his / her liquidity for other Investments or his / her living standard at risk. To diversify the risks of his / her Investments in Companies, it is recommended that the Funder does not solely focus on one Investment in a Company, rather places his / her focus on the building up of a portfolio consisting of several assets and Investments for diversification purposes. 5.3 FunderNation only provides the SpaceStarters Website as a platform for the presentation of the Campaigns. FunderNation does not provide any investment advice or any other consultancy whatsoever. FunderNation does not enter into any consulting or information service agreements with Funders. In particular, FunderNation is not obligated to inform Funders on the continued development of the Companies. In addition, FunderNation is not responsible for missing payments or remunerations or the performance of other obligations of the Company based on the agreement a Funder has concluded with the Company. 5.4 The decision to invest in a Company using the SpaceStarters Website and the Funder’s decision to select a specific Company to invest in is exclusively the Funder's responsibility. FunderNation recommends that each Funder seeks legal, economic and tax advice for his / her investment decision and continues to seek such advice during the investment period. 5.5 The sale of a subordinated loan granted via the SpaceStarters Website is, in principle, legally possible. However, subordinated loans are not securities and are not comparable to securities. For this reason, the sale of subordinated loans could be difficult or even impossible in practice, due to the fact that a trading platform comparable to a stock exchange does not exist for subordinated loans. Consequently, the Funder is exposed to the risk that the Funder cannot freely dispose of his / her invested capital during the term of the loan. 6.1 The opening of a user account on the SpaceStarters Website, as well as the use of the SpaceStarters Website is free of charge for Funders. 7.1 The Funder does not have a claim against FunderNation for the operation of the SpaceStarters Website and the provision of the associated gratuitous services. On the other hand, the Funder may discontinue the use of the services at any time. 7.2 FunderNation reserves the right to temporarily or permanently discontinue, restrict or change the SpaceStarters Website or individual services - e.g. for technical or legal reasons. The processing of concluded Investments via the SpaceStarters Website is not affected by such discontinuation, restriction or change. 7.3 FunderNation will inform the Funders on impending changes or discontinuations. 8.3 The liability according to Item 9.2 above is limited to the typical, foreseeable damage on the agreement's conclusion date. In the event a loan agreement or a connected agreement is ineffective, the Funder's claims against FunderNation arising from these agreements are limited to the reimbursement of the paid loan amount. 8.4 Any liability of FunderNation in addition to Items 9.1 through 9.3 is excluded. 9.1 Funders are liable for all damages arising from a violation of these Ts&Cs. 9.2 Funders are responsible for their Investment decisions. Investments in Companies may be subject to high risks and may result in a total loss without any consideration. FunderNation is not liable for losses that arise from Investments. 10.2 If a Funder does not have a general place of jurisdiction within Germany or another EU member state or the Funder is a businessman or the Funder has relocated his / her permanent domicile abroad after these Ts&Cs became effective or the domicile or the habitual residence is unknown on the date an action is brought against the Funder, the exclusive place of jurisdiction for all disputes arising from this agreement is Frankfurt am Main. 10.4 FunderNation reserves the right to amend these Ts&Cs at any time. FunderNation is, in particular, authorized to make such amendments, if an amendment of concluded agreements is required and / or - at FunderNation's discretion - is reasonable due to changes in law i.e. regulatory requirements. The Funders will be informed of the planned changes by e-mail at the latest one month prior to the scheduled effective date of the new version of these General Terms and Conditions. The amended Ts&Cs are considered accepted, if a Funder does not object to the applicability of the new Ts&Cs vis-à-vis FunderNation in writing or in text form within one month from the receipt of the e-mail. In the e-mail that contains the amended conditions, FunderNation will separately draw the Funders attention to the importance of the one month deadline and the right to object, as well as the legal consequences of the Funder's silence. The Ts&Cs as amended may be accessed at www.spacestarters.com.